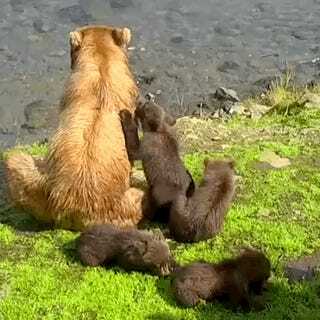 This was an adorable year for the bearcam in Katmai National Park. 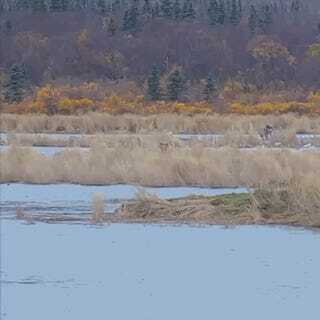 Here’s our ten favorite moments of coastal brown bears catching salmon, playing with their cubs, sleepily lazing the day away, and frolicking through the Alaskan wilderness in 2015. 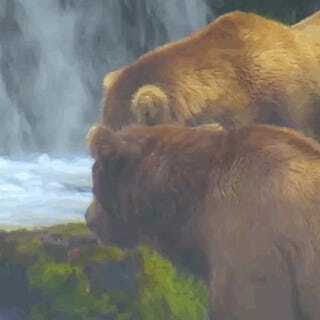 Katmai National Park, Alaska is home to approximately 2,200 bears. Many of these coastal brown bears make year appearances on the cameras (bearcams) set up for us to remotely enjoy their antics. 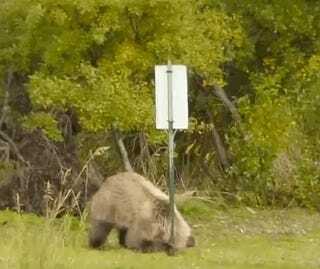 The cameras are human-operated, so frequently they’ll pan or zoom to catch the best bear-action. Nothing but nothing can trump the adorability of playful cubs. 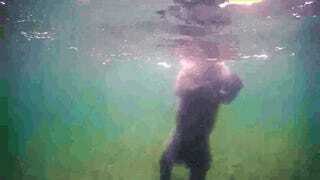 A cub learning to swim from mama gets far better with this excellent underwater perspective. 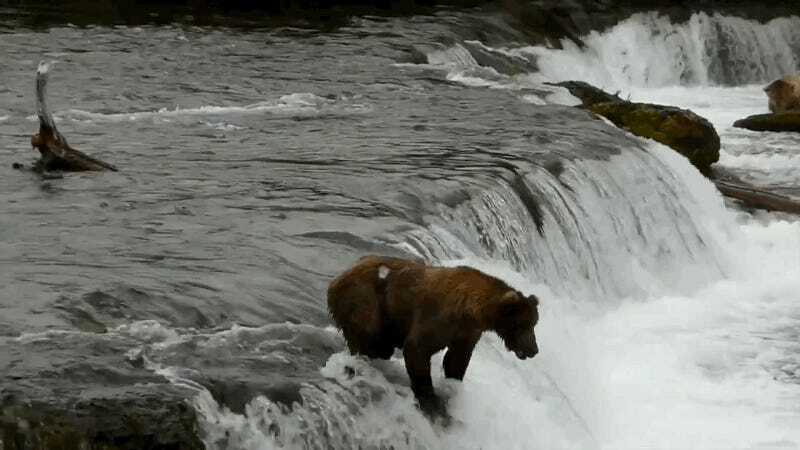 Sometimes ya just gotta take the plunge ... for salmon. Don’t bellyflop if you don’t get a fish at the end. 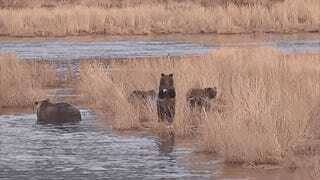 Bear #402 is only the fifth bear to birth a little of four in the park in the past decade. 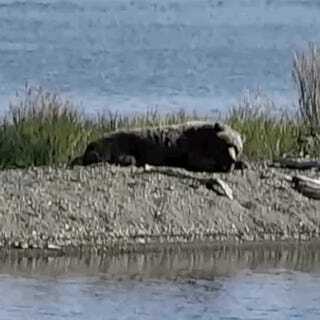 Watching 402 herd her cubs along the river was cute, but watching the tiny pack swim across was even better. Bonus: the pack got into extended on-camera cuddle-piles. D’aww! 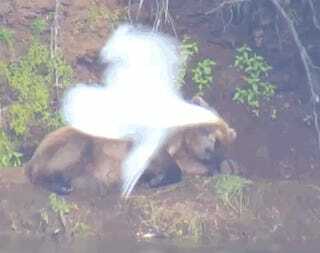 We cheered when this bear perfectly snatched a spawning salmon mid-jump, celebrating his skill. 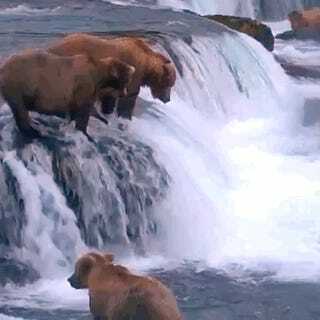 But we admit it, we also giggled when this other adult male bear managed to have a serious case of the Mondays when he timed his bite just right to both miss the fish and knock it back down the waterfall. 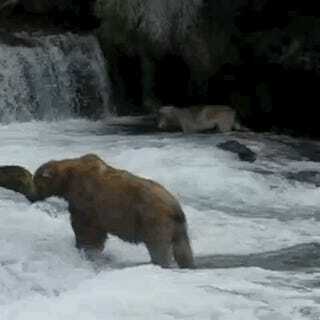 Bonus: A cheeky wolf snuck into the bear-heavy river to catch a salmon, running back into the woods before anyone could relieve it of its prize. 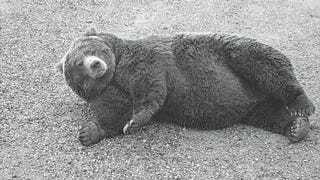 With their jaw-dislodging yawns and fondness for barely bothering to check out disturbed surroundings, bears are absolute pros at relaxation. Okay, this is a cheat by technically being four moments of four different bears, but we’re pretty sure they’d endorse our laziness in lumping them together. 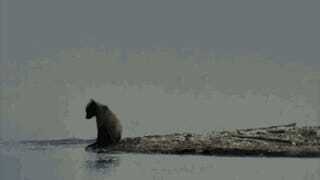 Even bears occasionally have that one cub that sticks to their mum night and day. 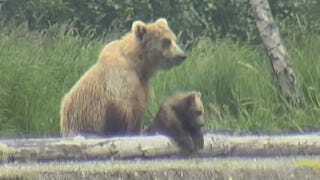 For Katmai National Park, that cub was Velcro. Although my favourite moment was him scrambling along the river bank to catch up with his mum, the duo share many adorable moments of cuddling, nursing, and exploring together. 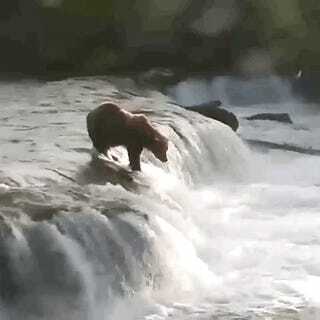 This bear is my new hero for the vigour they demonstrate in tackling an itchy back. 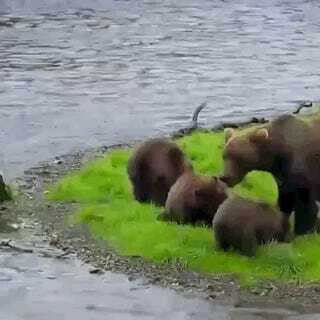 Go, go, brown bear! This little cub is guarding against pirates from a young age by running off with the fish before any litter-mates can steal it. Top image: Velcro refusing to let go. All images credit National Park Service.